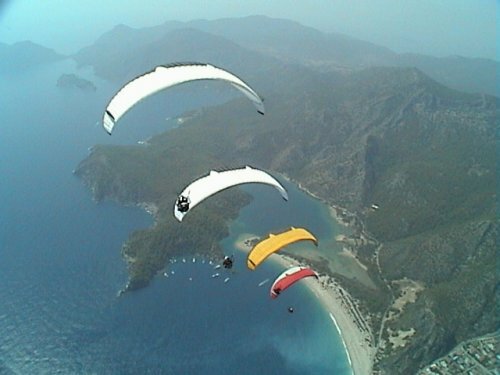 Skydiving is an incredibly easy, safe and enjoyable way to experience the excitement of skydiving without having to learn it. 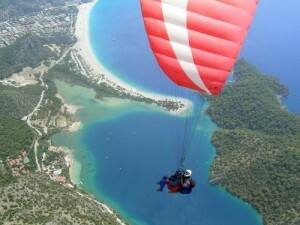 35 – 40 seconds free fall from 3000 metre / 10,000 feet, accompanied by a professional skydiving instructor. Jump above the ancient city of Ephesus. Available all year around, beach landings upon request. Video can be taken (50 Euro extra). 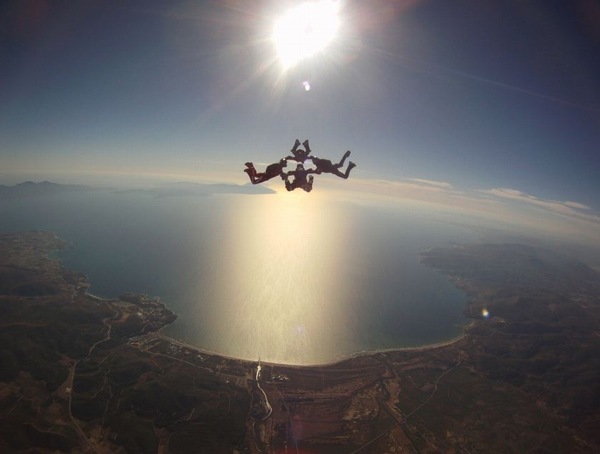 After briefing of only 15 minutes, you can jump from an altitude of 4000 meters accompanied with our experienced Tandem Pilots and after a free fall of 45seconds, you can enjoy the incredible scenery while soaring over the ancient city of Ephesus after your parachute has depleyed. If you wish, our aviation cameramen can provide you to share your adventure with your loved ones shooting your jump from the moment you leave the aircraft until your landing. Minimum Weight Limit: 35 kg. Maximum Weight Limit: 95 kg. Maximum Height Limit: 195 cm.